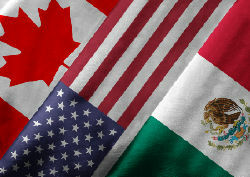 Complete listing of all United States, Canadian, and Mexican postal codes in a single package. Full state, province, and territory names and abbreviations; postal code types; latitude and longitude coordinates. This package also includes full time zone information and primary telephone area code associated with each postal code. PostalCode CHAR(7) United States, Canada or Mexico ZIP or postal code. Place VARCHAR(64) Settlement, town, community, colony, or locale name. City VARCHAR(64) The city, community, station or other name for the postal code area. CountyName VARCHAR(64) Name of the Mexico municipality or predominate United States county, parish, or borough the postal code is located in. StateProvinceName VARCHAR(64) The full name for the state, province or territory the postal code is located in. StateProvince VARCHAR(5) ISO 3166-2 country subdivision code. CityType CHAR(1) USPS or Canada Post recognition of the City name when used with this postal code. P - the specified city name is the official city name for this postal code. A - the city name is an acceptable alternate for use with this postal code. N - the specified city name is not acceptable for use with this postal code. FIPS CHAR(5) County or county equivalent code. AreaCode CHAR(3) Predominate 3-digit telephone area code. Mexican Region 3-digit Identification Number (NIR). Overlay VARCHAR(128) Additional telephone area codes in use when the predominate telephone area code is an overlayed area code. Multiple entries are separated by an ASCII forward slash "/" character. TimeZone CHAR(2) North American Time Zone the post code is located in. Latitude DOUBLE Latitude in decimal degrees to the approximate geographic center of the postal code service area. Longitude DOUBLE Longitude in decimal degrees to the approximate geographic center of the postal code service area.